Trends come and go, but sometimes we come across a style that has the potential to become a design standard. Especially when that trend offers both appeal and function. Designers have come to rely on wall tiles for a number of solutions in their projects, especially in the last several years. There are a few eye-catching wall tile trends sweeping the interior design industry as more designers gravitate towards this solution. 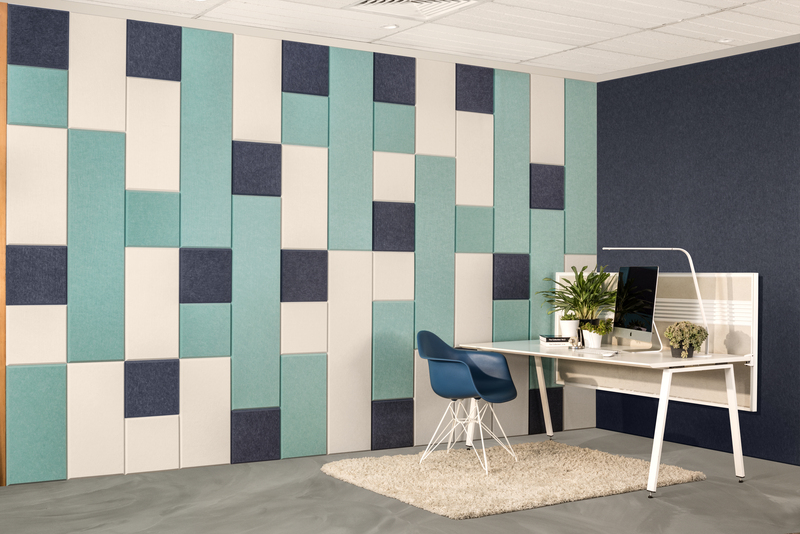 From metallic wall tiles to peel-and-stick acoustic treatments, the options seem endless. Let’s take a look at a few. Wall tiles are a great tool for designers to have on hand, not just because of their appeal and ease of installation, but because they offer so many style options as well. 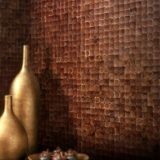 Tiles add texture and drama to any space, and can be designed to accommodate whatever space a client might have in mind. We love when style and function come together in a solution, though, and Kirei’s Balance Tiles do just that. 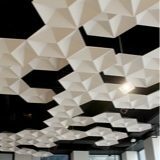 These tiles provide acoustic comfort to any space because of their sound absorptive quality, but it’s their simple peel-and-stick application along with their ability to compliment just about any space with ease that makes this option even more attractive. If you’re looking to add a bit of whimsy to your interiors, consider implementing an eye-catching geometry to the tile itself. 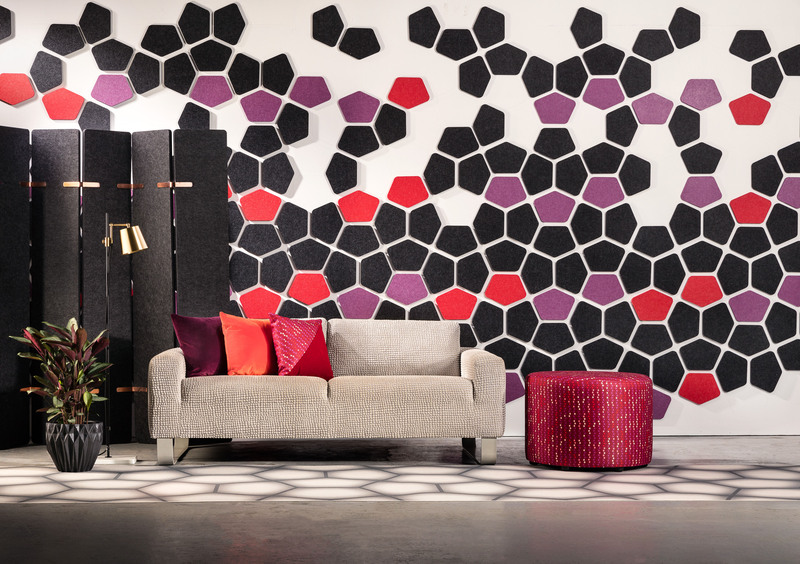 Colorful triangles, hexagons, or other interlocking patterns bring a fresh dynamic to any design. 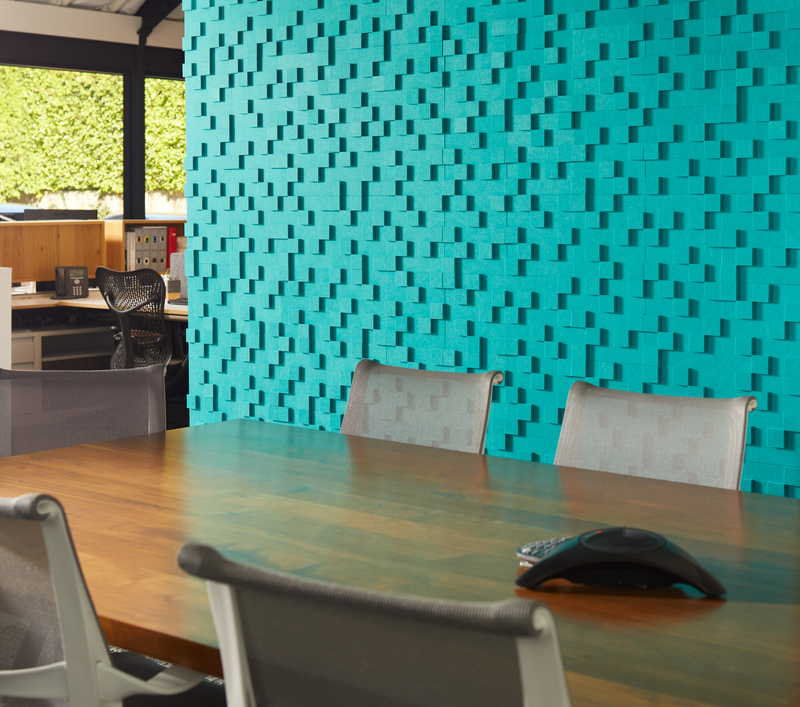 Experimenting with color can elevate geometric tiles to the next level. Use your tile scheme to integrate other hues in your design, bringing a cohesive, balanced feel to the space. You heard right! Neutral colors have made a big comeback in unexpected ways, especially when it comes to wall tile. Using beiges, olive greens, and dark browns can act as an undertone to help your other design elements stand out. But too much beige can lead to disaster: use it strategically to lend style to statement pieces like furniture, lighting fixtures or impressive wall treatments. Metallic tiles have created waves in the design industry. 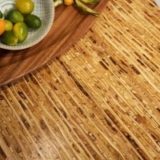 They give basic, flat surfaces a more dynamic style and add texture to your space. Give your design some extra personality with a metallic tile — and don’t be afraid to try a new material! 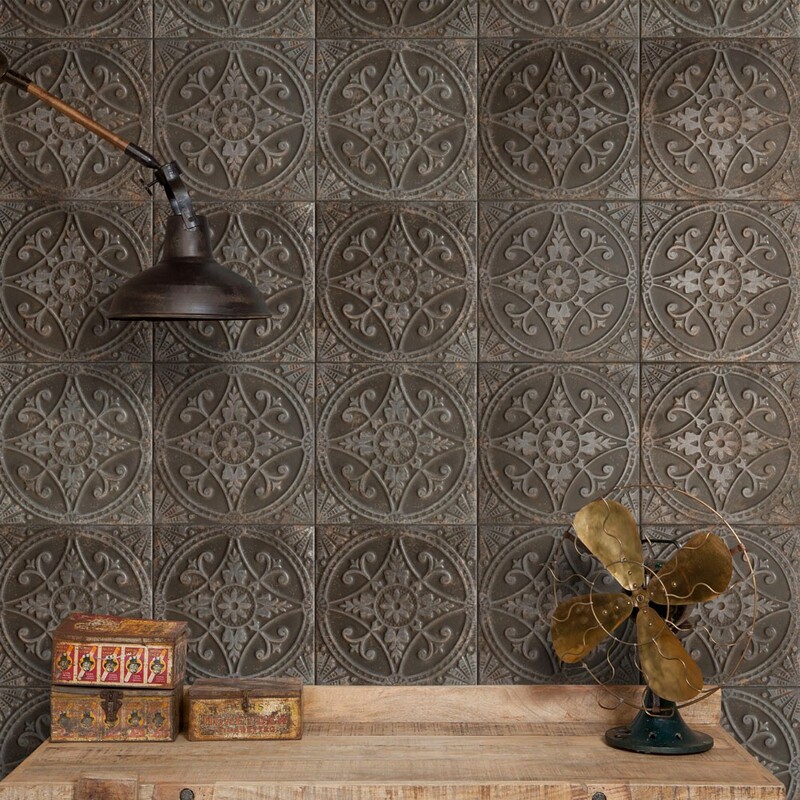 From bronze to steel to copper tiles, each has their own subtle patina to give your space a classic, polished look. Tiles are known for adding texture to your walls, but you can take things even further by selecting an application that literally pops. 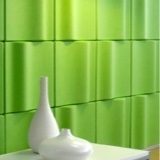 These 3D tiles from Kirei are not only visually stunning, they also help control interior acoustics by offering sound absorption. And because of their bold, colorful detail, 3D tiles can turn any boring wall into a statement piece. We’ve come a long way with wall tile options in the industry, especially in the last few years. From geometry-inspired patterns to metallic accents, today’s tile manufacturers offer designers a wide selection of choices. 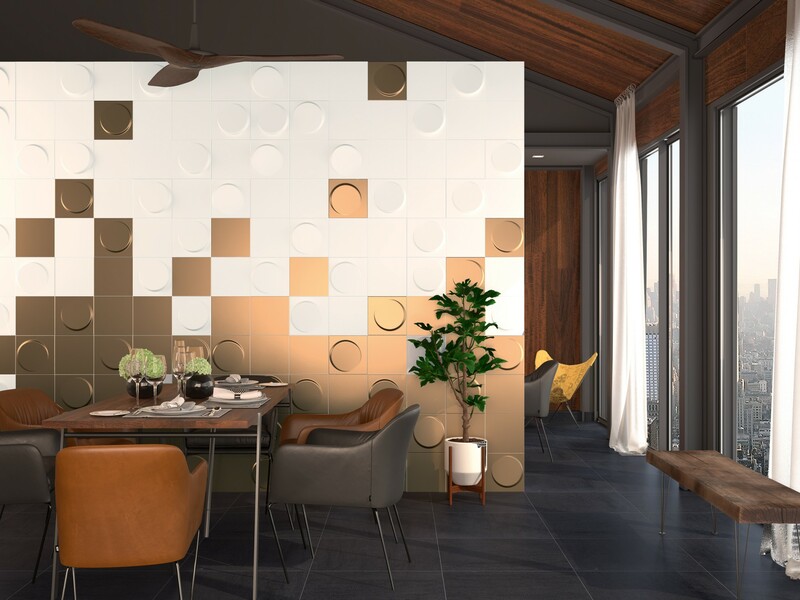 Whether your client needs a bold treatment for their stark white walls or acoustic solutions for their noisy space, we’re confident you’ll find a wall tile solution to suit any taste.